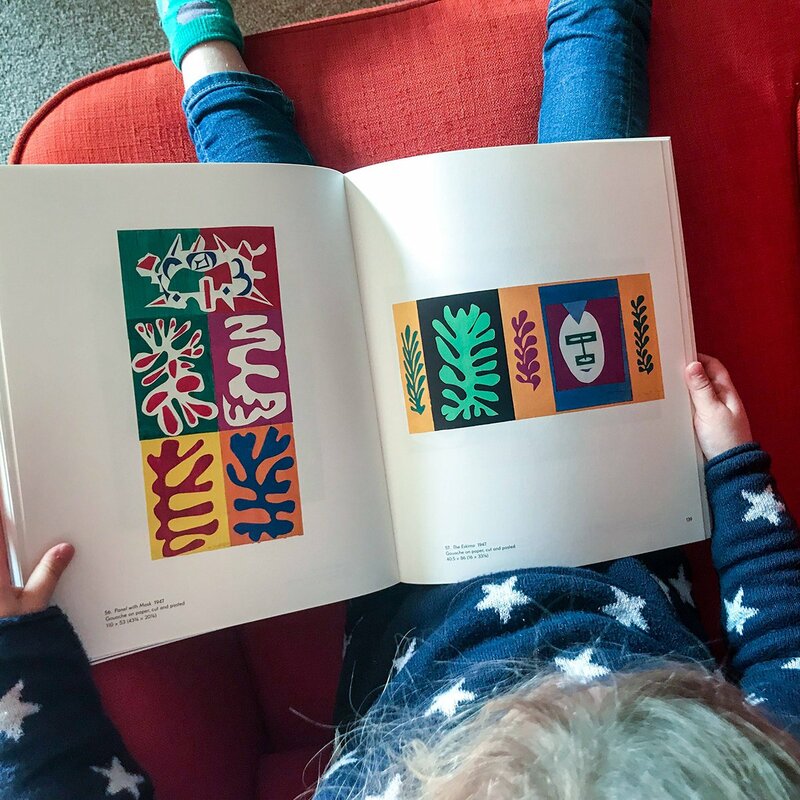 Today we will be learning about Henri Matisse’s Cut-Outs and using his work as a tool to practise your child’s Fine Motor Skills and creativity. 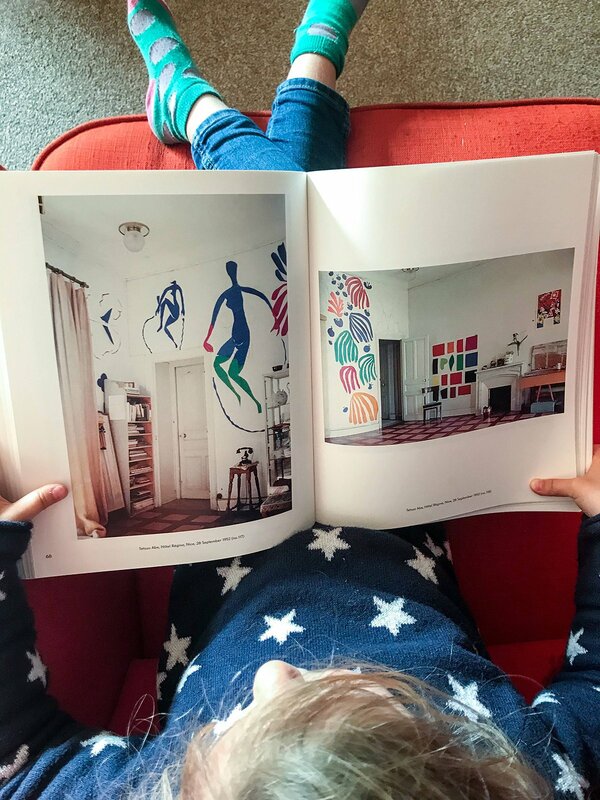 We will do this by creating our own Matisse Cut-Out masterpiece. 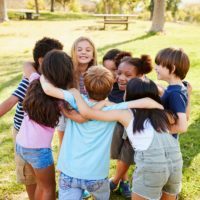 Got older kids that want to join in? No problem! 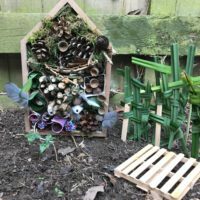 This activity caters for a range of ages. Henri Matisse was a French artist who is best known for his use of colour and his masterful and fluid draughtsmanship/line work. He was one of the leaders spearheading the Fauvist art movement. This was the 20th century’s first avant-garde art movement. Though this movement only lasted five year it pioneered a change in thinking about colour. Using colour as an expression of freedom and emotion, Fauvism reinterpreted its literal use in imitating nature forever and broke through the stiff art world’s boundaries of the time. Matisse did not set out to become an artist in the beginning, in fact, he studied law and passed his bar exam with distinction and took a job as a clerk. It was only after he was taken ill with appendicitis that his mother bought him art supplies to occupy his time while resting in bed. It was in this time that he had his epiphany. Most well know for his paintings, some are not aware that later in life he was confined to a wheelchair and painting became more and more painful for him to do. In overcoming his circumstances in life in order to continue what he loved he began his cut-out technique. From as early on in his career as 1919 he had been using cut-outs in the initial stages of composing painting murals. He admitted that making changes to a cutout composition is easier than having to repaint it. He used this method in many areas; to visualize a stage set for the theatre and ballet productions; for textile production, as well as for stained glass windows. With a slightly nod to our Art History piece on The History of Stained Glass Window’s, an example of this is Nuit de Noel, 1952, Gouache on paper, cut and pasted and mounted on board, MoMa. This stained glass Christmas window was commissioned by Life Magazine, in January 1952. It was to be in honour of the celebrations at the Rockefeller Centre at the end of 1952. Matisse created a cut-out of what the stained glass window would like and gave it to a craftsman, Paul Bony who made it. When being interviewed later on in his career he admitted that he had kept this cutout technique a secret but that clearly his innovation of Cut-Out’s had been a long time in the making. Cut-Outs were artworks made from paper painted in gouache paint and then cut out with scissors. Matisse would choose the colours of paint and his studio assistants would paint the rolls of paper. They would then be weighted down so they dried flat. 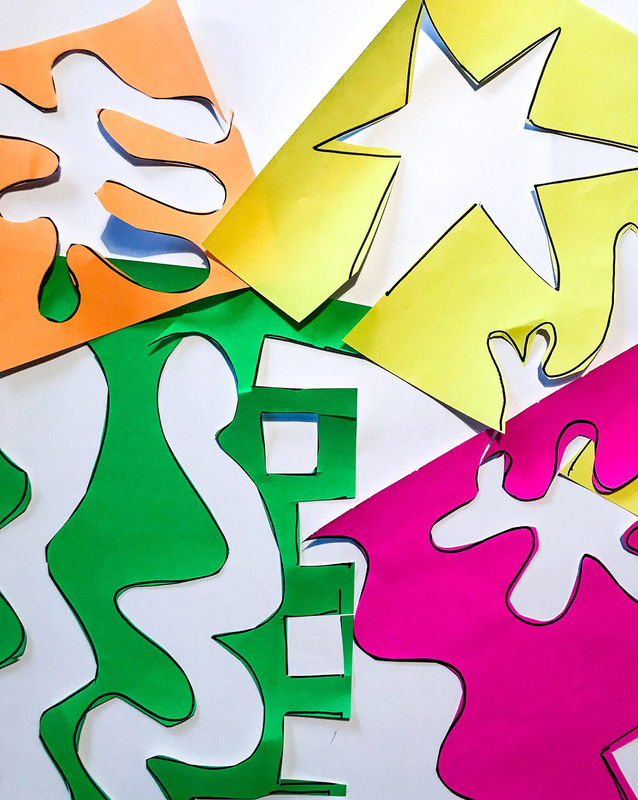 Matisse would then freehand cut shapes out of them and arrange them into compositions either on flat surfaces or later onto his studio walls. Smaller pieces he pined himself on a board on his lap, while larger wall pieces were put up with pins by his studio assistants with his instruction. Art historians in examining his works have found that he used a variety of different sized scissors in his work. The many different pin holes in some of his work show that they were moved around and pinned more than once to get the composition as Matisse wanted. His smaller pieces he used a ‘spot-gluing’ technique. This literally meant he put spots of paint on instead of gluing all the cutout pieces completely down. He felt this allowed the piece to keep some movement and a three-dimensional feel to his work. As we mentioned previously, he was confined to a wheelchair toward the end of his life. Throughout his career he had searched to unite both line and colour in his work. In his Cut-Out’s he finally found the perfect match in uniting these aspects. A vast amount of his paper cut outs where cut in one fluid line creating a sinuous shape. These shapes echo his previous genius line figure paintings. He once said the ‘Cut-Outs’ was a process of literally ‘cutting directly into colour’ and ‘drawing with scissors’. 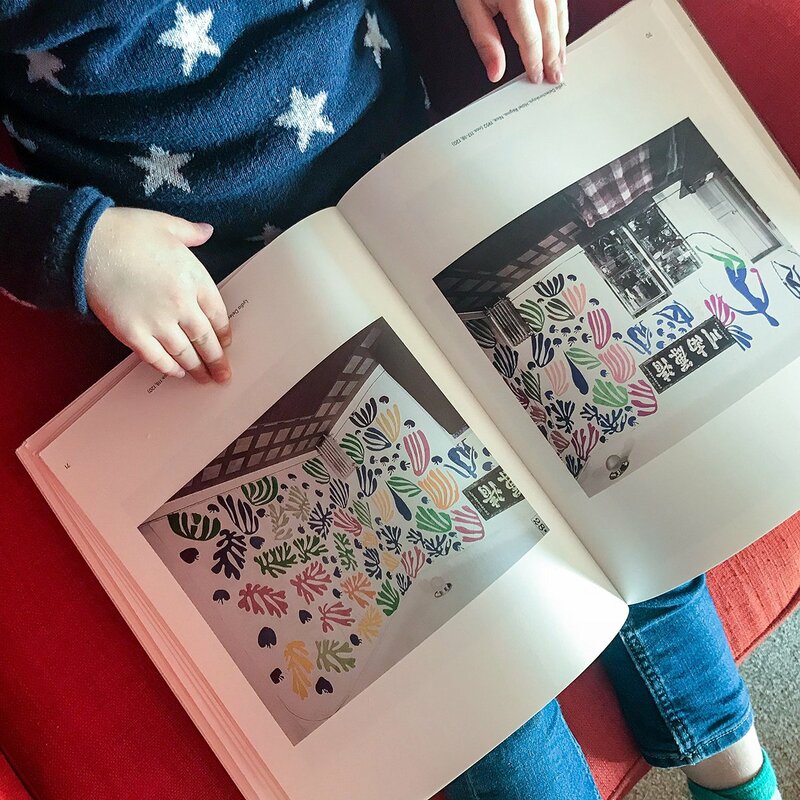 Where once his studio was the place to cover his head and keep him warm while he painted, by his Cut-Out phase his studio became a part of his canvas, with the walls of the building become part of his compositions. Hotel walls he stayed in became canvases. Where once his Cut-Outs were contained to small pieces to hang on walls, soon they became completely immersive works that covered large spaces as a fresco would. 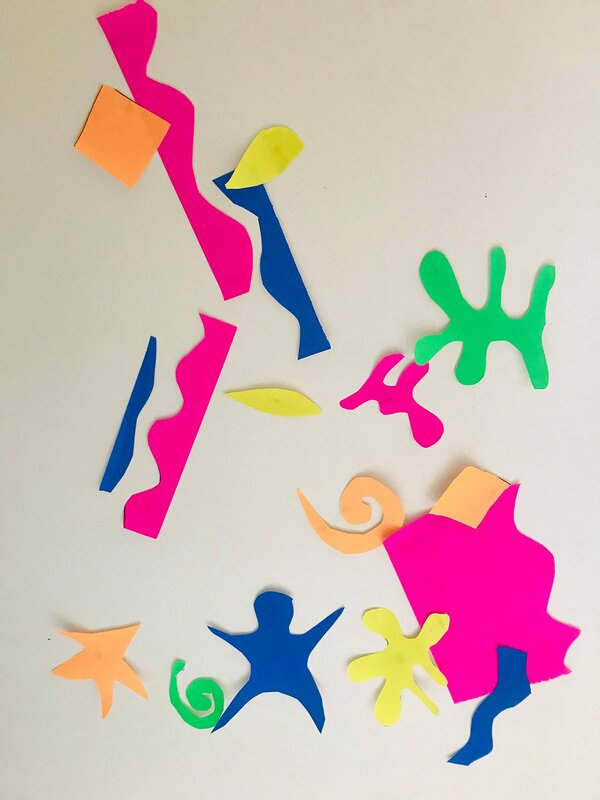 With all we have learned about Henri Matisse and his colourful Cut-Out works we shall be creating our own pieces, both on a small scale and a big one! 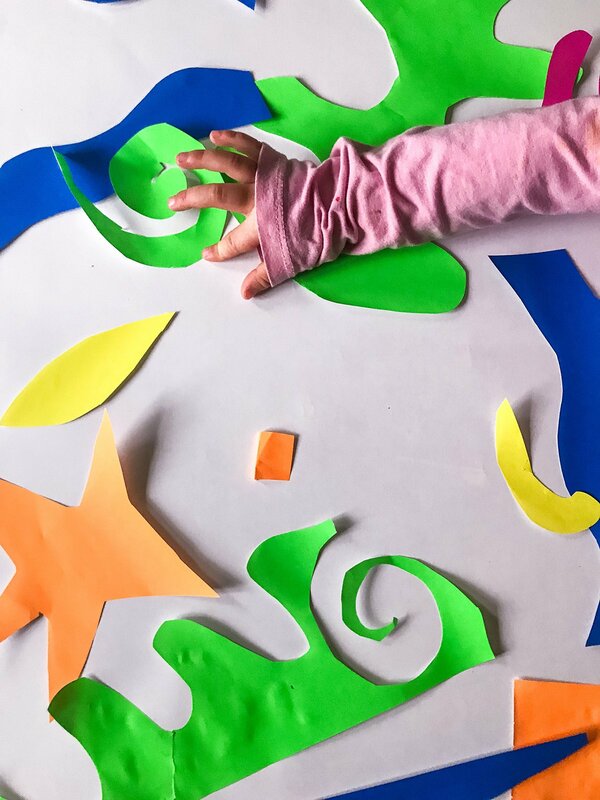 Your child can practise their cutting skills, colour recognition as well as stretching their creative muscles while they decide where to stick each piece to make their Matisse inspired compositions. Good Fine Motor Skill practise for separating finger and hand dexterity. Strengthens hand muscles in preparation for writing at school. Bilateral Co-ordination as they are using both sides of their body at the same time. Visual Motor Skills with their hand-eye co-ordination. First time your child is using scissors? Buy them some blunt children’s scissors that only cut paper. Get some playdough out and they can practise cutting something soft first. 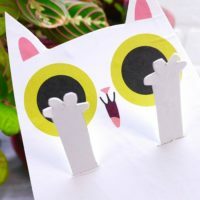 For the younger children doing the small scale masterpieces, either draw out the shapes on your colourful paper or put some colour paper in your print and print out the designs shown on the printable. Make sure that you have lots of different bright coloured paper! I would suggest giving your children a few easy pieces to cut out. 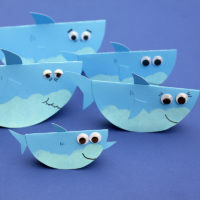 If they are enjoying it, then try giving them some tricker shapes. Don’t force it though, if their attention wanes let them go and try again later. I would suggest doing about 80% of the cutting yourself. This means that once they have finished their cutting they can begin sticking immediately. 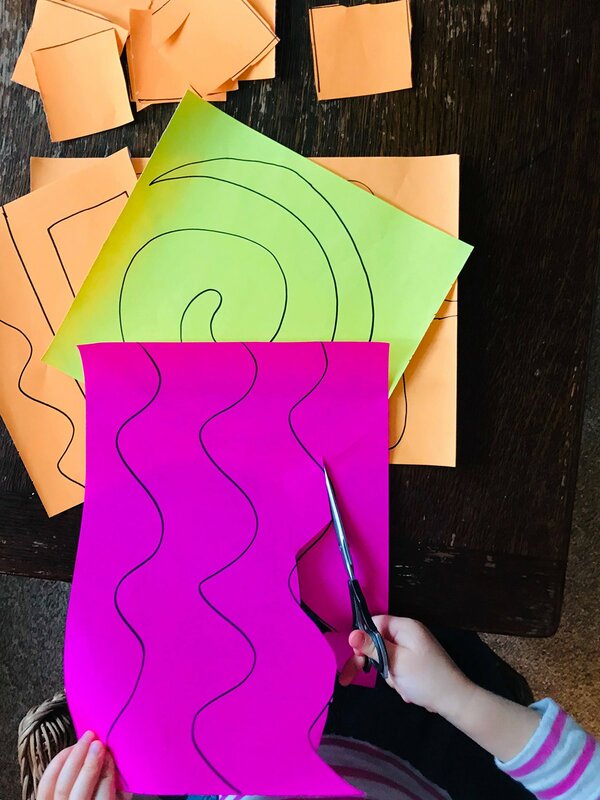 If you have older children who are getting involved, let them have free reign to draw out and cut the shapes on the coloured paper themselves. Put your A3 white paper or card down on a table with the stick glue and allow your children to stick the Cut-Out’s on the paper. Allow them to do it and try not to influence where they stick pieces. The more overlapping the better! 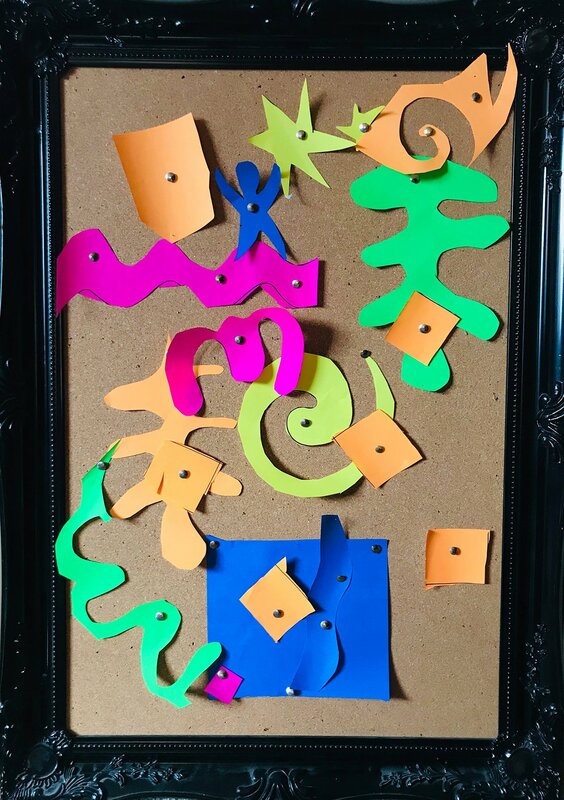 For the older children, if you have a pin board and pins, why not let them pin their design onto the board. 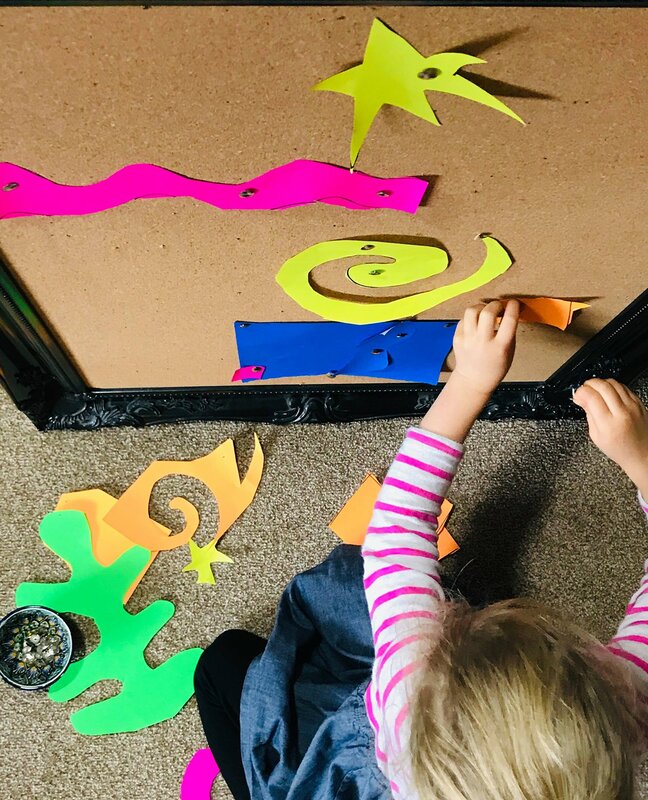 If they would like to go further and have cut out loads, let them get creative, creating a huge masterpiece on the wall by stick the pieces on with blue tack! So there you have it. You should all have VIBRANT, COLOURFUL, EXCITING masterpieces that will brighten your houses. Colour is good the heart and having colour in your lives is scientifically proven to elevate and life your mood. So the more colourful, the better! 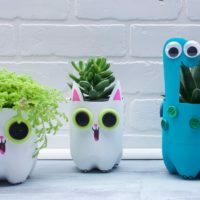 Remember to share your makes on social media! Don’t forget to tag us!